Relativity Media has provided us with a high-resolution photo gallery for Safe Haven, director Lasse Hallström's adaptation of the Nicholas Sparks novel, arriving in theaters this Valentine's Day. Julianne Hough stars as Katie, a young woman who runs away from her troubled Boston life and starts fresh in the sleepy North Carolina town of Southport. She forms a bond with shopkeeper Alex (Josh Duhamel), but before she can start a new life, she must confront her past demons. 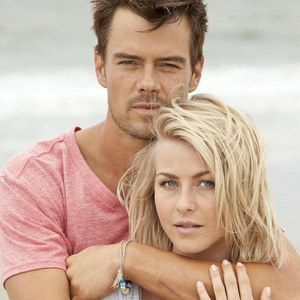 Take a look at these photos featuring Julianne Hough, Josh Duhamel, David Lyons as the tenacious Boston cop Kevin Tierney, Cobie Smulders as Katie's new neighbor Jo, and Mimi Kirkland and Noah Lomax as Alex's children Kristen and Josh.